Influenced by my teachers, environment and my travels I aim to bring a unique and deep experience to each of my classes. Through intention, meditation, pranayama and asana my goal is to have my students experience a deeper sense of power and relaxation of themselves. My classes combine a spiritual meditative approach at the same time as a physical and mental challenge. I aim to live a healthy lifestyle with awareness and harmony and lead my classes in a way that reflects this journey. OSHO International Meditation Resort, India 2017From 6:00 am until 10:30 pm every day, the OSHO International Meditation Resort offers a variety of meditations for every type of person, including methods that are active and passive, traditional and revolutionary. 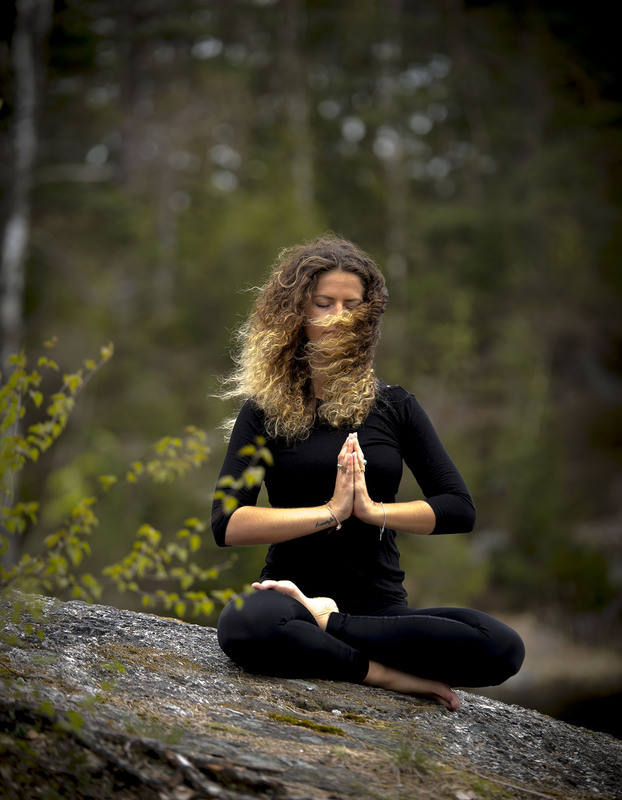 Arun Conciousness Touch, Norway 2016Conscious touch is about massage and bodywork, how to touch with awareness through breath, love and a state of meditation. Anubuddha is a world known teacher, he learned directly from Osho and also gave Osho personal sessions. He is one of the creators of Osho rebalancing massage. OSHO Family Constellation, Norway 2016Family Constellation is a powerful method to help you recognise difficult entanglements, both in your family of origin as well as in your present family or relationship. Solution-oriented interventions bring understanding, which is followed by a deep relaxation that allows love to flow again between members of the family system. Decleor Skincare training 2016This training equips “Aroma-Experts” with expertise in the art of skin diagnoses and all the application techniques for each salon treatment. It also enables to provide each client with a solution tailored to her specific needs. Elizabeth Arden PRO Skincare 2016Training and application techniques for salon treatments. OSHO International Meditation Resort, India 2014From 6:00 am until 10:30 pm every day, the OSHO International Meditation Resort offers a variety of meditations for every type of person, including methods that are active and passive, traditional and revolutionary. Gurdjieff Sacred Dance Retreat, Norway October 2013 Gurdjieff Sacred Dances are a powerful and transformative tool for self observation, centering, maintaining state of presence and inviting acceptance to daily life. Filled with solemn beauty and purity, Gurdjieff Sacred Dances are harmonizing and combining our mind and feelings with conscious movement of the body, and manifesting them together in a dance through effortless attention. Amnesty course, Lärcentrum TanumAmnesty teacher course about genus and human rights. Sportshopen, GrebbestadOrganizational and leadership course – customers rights and service. may 2016 – aug 2016 Spatherapist and yoga – meditation teacher, Hotell Tanumstrand, GrebbestadSpa therapist, where I provided guest/customers with various spa treatments and well- being treatments such as yoga and meditation classes. As early as 14, Ajay received a book written by Osho of his father, which made him curious about yoga and meditation. Ajay was educated at the Pathik Health Foundation and Balmiki Sanskrit Collage in Nepal and has practiced yoga (mainly Hatha, but also other orientations) for almost 20 years.When Ajay does not teach yoga or give treatments, he runs a small organic farm outside Kathmandu. During a three-year workplace in Japan, interest in medicinal plants grew large and also the interest and understanding of other cultures.Within Yoga, he teaches mainly Hatha Yoga, but he believes in a holistic approach with mixed Asanas along with meditation and Pranayama (breathing exercises). School Living Certificate (S.L.C) Biteswar Secondary School, Nepal. Intermediate in Arts (I.A) Saraswoti Multiple College, Kathmandu. Theraputic deploma and Teacher Trainning Course- Pathik Health Foundation, Nepal. 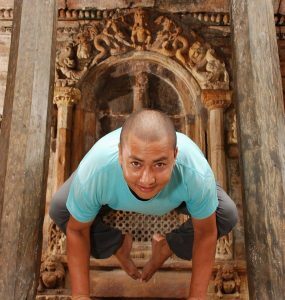 Yoga and Natural Therapy Teacher Trainning Course- Balmiki Sanskrit College, Nepal. Sannayas course- Bihar Yoga Bhariti, India.